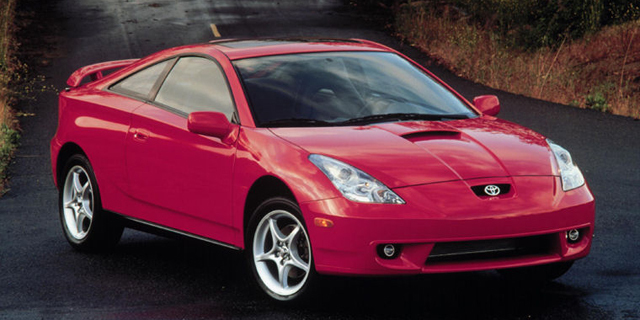 The Toyota Celica is a boldly styled small coupe with space for up to four persons. Powered by willing engines, the front-wheel-drive Celica offers excellent handling to match the sporty looks, yet remains comfortable. The sporting theme is complemented on the interior by grippy seats and a good driving position. Find the used Toyota Celica of your choice from a dealer in your area. Search our used car listings now.